Jared Kushner's brother has married model Karlie Kloss. Here's everything we know about the power couple. The millionaire entrepreneur and investor Joshua Kushner and his girlfriend, the model Karlie Kloss, were married last week. Ivanka Trump and Jared Kushner were among the guests at the wedding. Kushner and Kloss have been together for six years but have mostly attempted to keep their relationship private. Here’s what we know about the couple’s relationship – as well as their unconventional relationship with the White House. Joshua Kushner, the younger brother of the White House adviser Jared Kushner, is officially married to model Karlie Kloss. The duo wed in a ceremony in Upstate New York last week. Jared Kushner and Ivanka Trump were among the guests at the wedding. The pair was engaged in July. Kloss and Kushner also made headlines earlier this year when they posted photos from the March for Our Lives, the anti-gun-violence rally in support of stricter gun-control measures that took place in many US cities and towns in March. 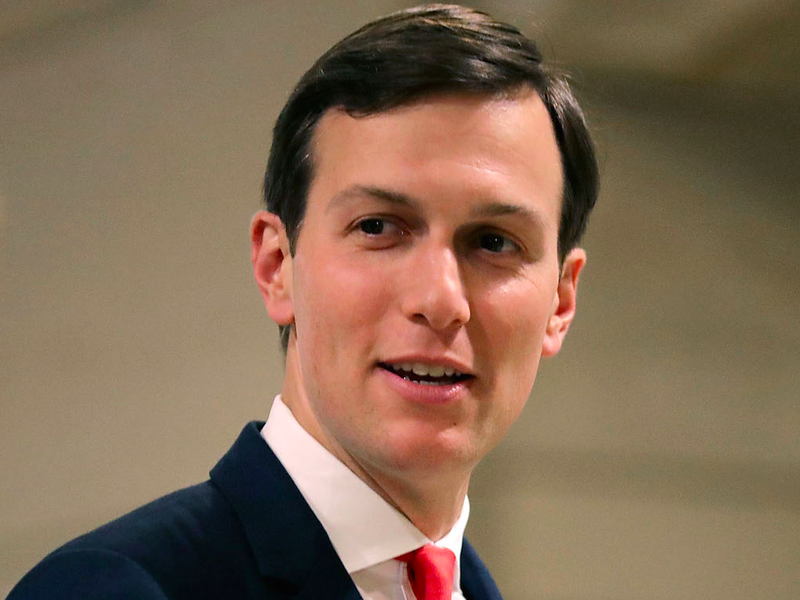 Kushner and Kloss had previously remained quiet on politics, including about their connections to the Trump family. And while the duo dated for more than six years, they rarely speak publicly about their relationship. 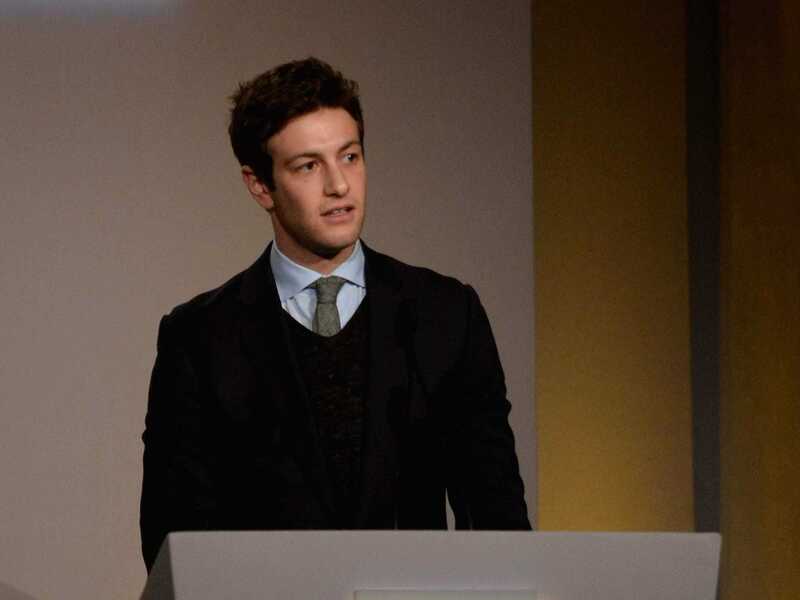 Joshua Kushner rose to prominence in his 20s as an entrepreneur and venture capitalist. In 2009, at age 24, Kushner founded the venture-capital firm Thrive Capital. Two years later, he raised $40 million from investors including Princeton University and Peter Thiel, a venture capitalist known for his investments in tech companies such as Facebook and his support of Trump in the 2016 presidential campaign. Thrive was an early investor in Instagram, as well as in startups including Warby Parker, Kickstarter, and ClassPass. Kushner helped found Oscar Health in 2012. The health-insurance startup, which aims to use tech to provide a more consumer-friendly insurance option, was last publicly valued at $3.2 billion. Karlie Kloss, meanwhile, has been working as a model since her teenage years. Kloss skyrocketed to prominence in 2007, when she was 15. The model has often made headlines because of her close friendship with Taylor Swift. In 2015, Kloss started Kode With Klossy, a charity that encourages girls to get involved in coding and tech. Kloss and Kushner have been dating since 2012. Kushner was first spotted on Kloss’ arm at a Victoria’s Secret Fashion Show afterparty that year, Us Weekly reported. Kushner has recently kept a low profile compared with his brother. Joshua Kushner told Forbes in April that he and his brother, Jared Kushner, spoke every day. And Joshua Kushner is apparently so close with Ivanka Trump, Jared Kushner’s wife, that he refers to her as his sister. In 2014, the brothers founded the real-estate crowdfunding startup Cadre along with Ryan Williams, now its CEO. Jared Kushner was criticized last year for neglecting to disclose his stake in Cadre in government financial-disclosure forms. But Kloss and Kushner have largely avoided talking about Trump or politics. In September 2016, Kloss attended the US Open with Jared Kushner and Ivanka Trump, though for the most part, Kloss and Joshua Kushner have avoided mentioning them on social media. Kloss rarely features her fiance on Instagram. Neither Kloss nor Kushner voted for Trump. Kloss posted a photo of herself on Instagram filling out an absentee ballot. She included the hashtag #ImWithHer in support of Hillary Clinton, the Democratic nominee. 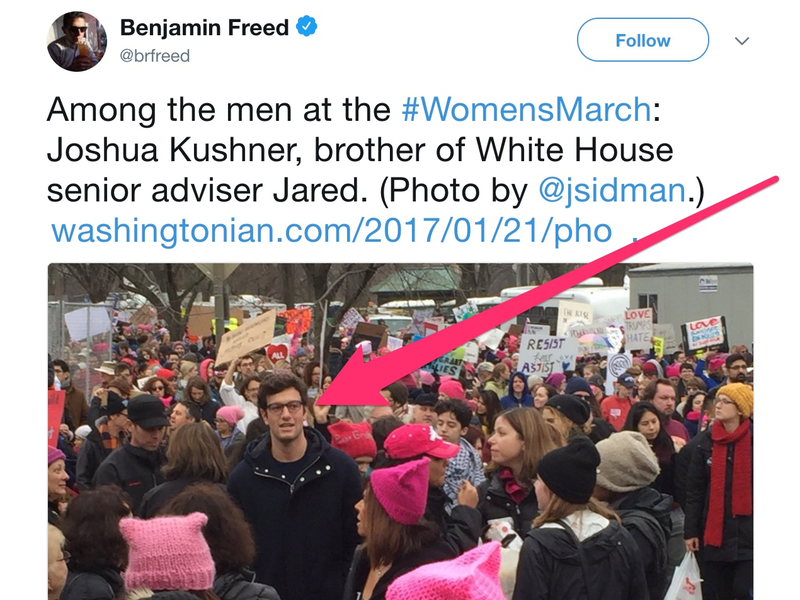 Kushner attended the Women’s March in Washington, DC, the weekend of Trump’s inauguration. Kushner told other marchers he was there to observe, The Washingtonian reported. Kushner also posted a photograph of him and his brother in the White House that weekend. The couple seems to have avoided making any political waves in the first half of Trump’s presidency. “It is no secret that liberal values have guided my life and that I have supported political leaders that share similar values,” Joshua Kushner told Forbes last year. After the 2016 election, Kushner said he did not have personal ties to the Trump administration. According to Forbes, Joshua Kushner held one-on-one meetings with nearly 100 employees at Thrive and two startups he was incubating. 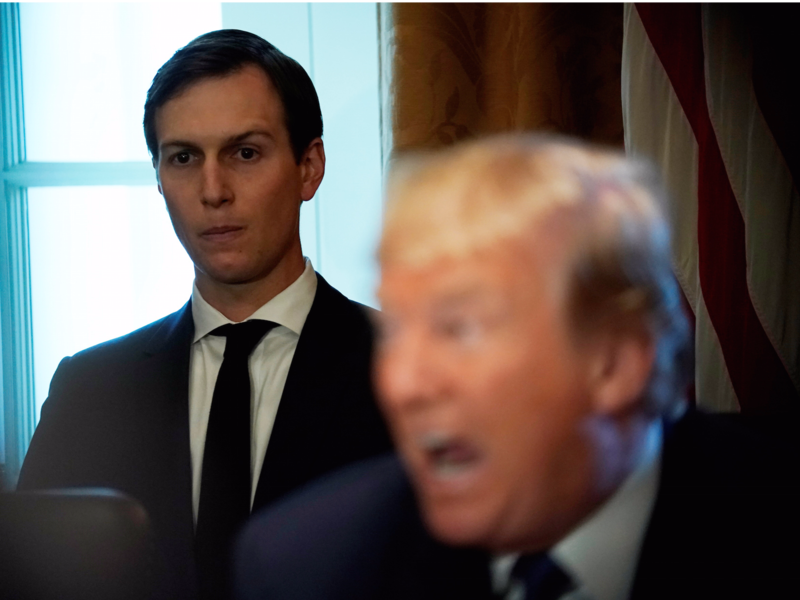 With Oscar Health relying on the Affordable Care Act’s health-insurance model to operate, Kushner was thrust into an ethical quagmire after the election. Trump has vowed to kill the Affordable Care Act – the health law known as Obamacare – putting Oscar in a precarious situation. Oscar has responded by offering healthcare plans alongside the Cleveland Clinic in Ohio, its first collaboration with a hospital. And when Trump slashed funding for Obamacare advertising, Oscar ratcheted up its ad campaign in New York. So far, Kushner’s proximity to the White House hasn’t backfired when it comes to investments. Kloss and Kushner have made some exceptions when it comes to refusing to speak out on politics. Kloss and Kushner have voiced support on social media for the anti-gun-violence March for Our Lives movement. The news website Axios reported that Kushner also donated $50,000 to the March for Our Lives organization, which has called on Trump to support stricter gun-control regulation. Still, don’t expect Kloss or Kushner to speak out against Trump publicly. Extra! Extra! Read all about @kodewithklossy in @nytimes ???? Kloss has often refused to comment on her or Kushner’s relationship, or on Kushner’s ties to the White House. “My relationship has nothing to do with this interview,” Kloss told The New York Times earlier this year in a story about her work with getting girls involved in tech. Ivanka Trump and Jared Kushner attended the couple’s wedding last week. “So much love for you both as you begin forever together,” Trump tweeted.